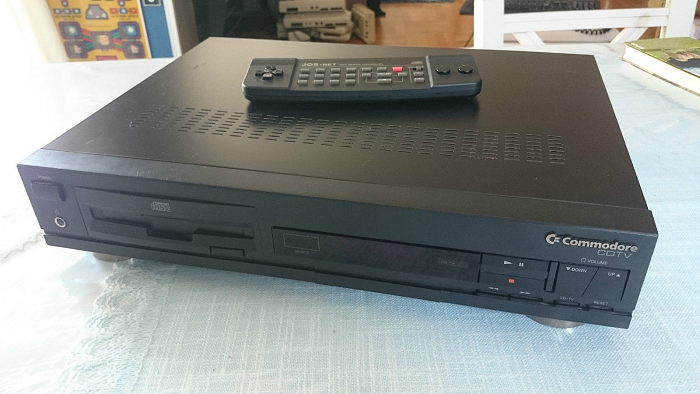 Commodore's CDTV was, oddly enough, just an Amiga 500 with a CD drive and a remote control, all made to look like a posh VCR. Obviously it didn't do well, even though it remains a lovely thing to own and a sleek 16-bit curio. It's also quite the rarity. Oh, and you can bid on a fully working console via this Commodore CDTV eBay auction. The CDTV on offer comes with its elaborate remote and the CD-caddy.